The National Cartoonists Society has announced the nominees for this year’s Reuben Award. 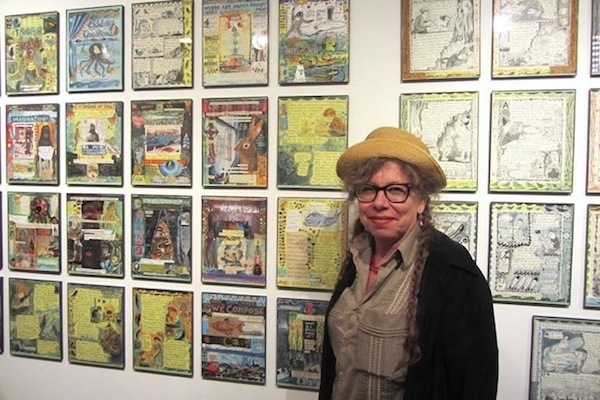 LYNDA BARRY is a cartoonist and writer. She’s authored 21 books and received numerous awards and honors including an Honorary Doctor of Fine Arts degree from University of the Arts, Philadelphia, the Milt Caniff Lifetime Achievement Award, two Will Eisner Awards, The American Library Association’s Alex Award, the Washington State Governor’s Award, the Wisconsin Library Associations RR Donnelly Award, the Wisconsin Visual Art Lifetime Achievement Award, and was inducted into the Will Eisner Hall of Fame in 2016. Her book, “One! Hundred! Demons!” was required reading for all incoming freshmen at Stanford University in 2008. She’s currently Associate Professor of Interdisciplinary Creativity and Director of The Image Lab at the University of Wisconsin-Madison were she teaches writing and picture-making. You can follow Lynda on Twitter at @NearSightedMonkey. BRIAN BASSET is a comic strip artist best known for his syndicated newspaper strip, Red and Rover. He grew up in the Washington, DC suburb of McLean, VA. and enrolled in the fine arts program at Ohio State University where he drew editorial cartoons for the school newspaper, The Lantern. 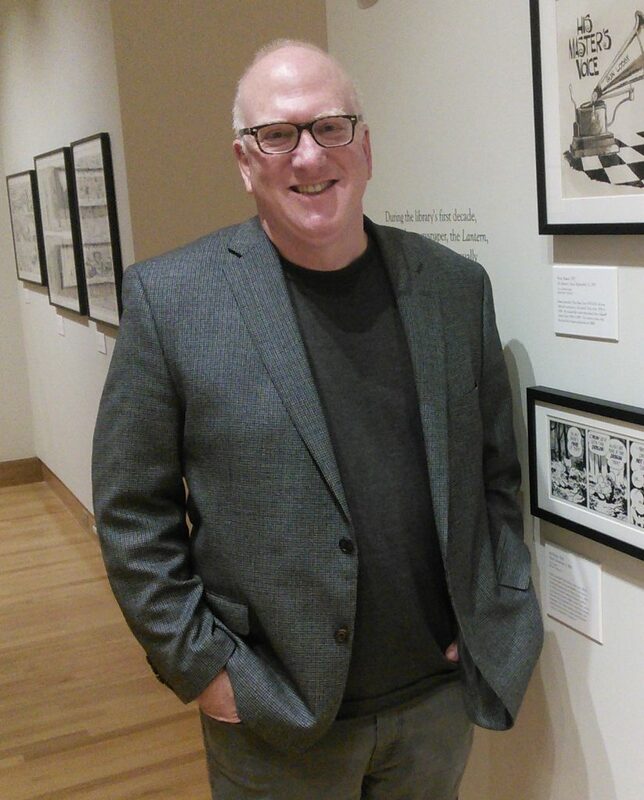 After university, he landed a 16-year stint at the Seattle Times, where he drew editorial cartoons for the newspaper. During this time, Basset also developed the nationally syndicated comic strip Adam, later known as Adam @ Home. While producing this strip, he launched a second one in 2000, Red and Rover, which he continues to write and draw for Andrews McMeel Syndication. Red and Rover has been nominated three times for “Best Newspaper Comic Strip” by the NCS, and won the award in 2013, Brian lives in Seattle Washington with his wife, Bobbi Robinson. 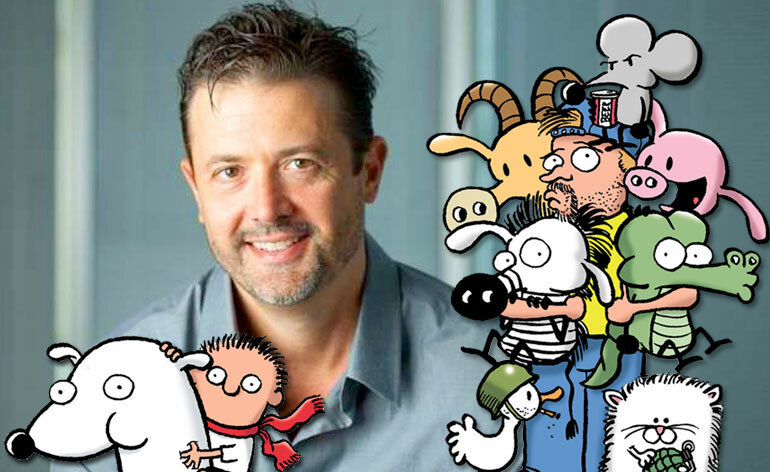 STEPHAN PASTIS is the creator of the daily comic strip Pearls Before Swine, syndicated by Universal Uclick. Stephan practiced law in the San Fransisco Bay area before following his love of cartooning and eventually seeing syndication with Pearls, which was launched in newspapers beginning December 31, 2001. The National Cartoonists Society awarded Pearls Before Swine the Best Newspaper Comic Strip in 2003 and in 2006. Stephan is also the author of the children’s book series Timmy Failure. Stephan lives in northern California with his wife Staci and their two children. Visit Stephan’s blog and the Pearls Before Swine website. 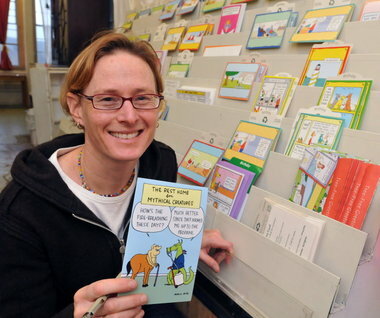 HILARY PRICE is the creator of Rhymes With Orange, a daily newspaper comic strip syndicated by King Features Syndicate. Created in 1995, Rhymes With Orange has won the NCS Best Newspaper Panel Division four times (2007, 2009, 2012 and 2014). Her work has also appeared in Parade Magazine, The Funny Times, People and Glamour. When she began drawing Rhymes With Orange, she was the youngest woman to ever have a syndicated strip. Hilary draws the strip in an old toothbrush factory that has since been converted to studio space for artists. She lives in western Massachusetts. You can visit Rhymes With Orange online here. MARK TATULLI is an internationally syndicated cartoonist, best known for his popular comic strips HEART OF THE CITY and LIO, which appear in 400 newspapers all over the world. LIO has been nominated for Germany’s 2010 MAX AND MORITZ award and multiple times for the National Cartoonists Society’s Best Comic Strip, winning in 2009. A LIO animated television series is currently in the works. Mark has now expanded his cartooning and writing into middle-grade kids’ books, making the illustrated novel series DESMOND PUCKET for Andrews McMeel Publishing. He also wrote and illustrated two picture books, DAYDREAMING and THEY CAME, for Roaring Brook Press, a Macmillan company. 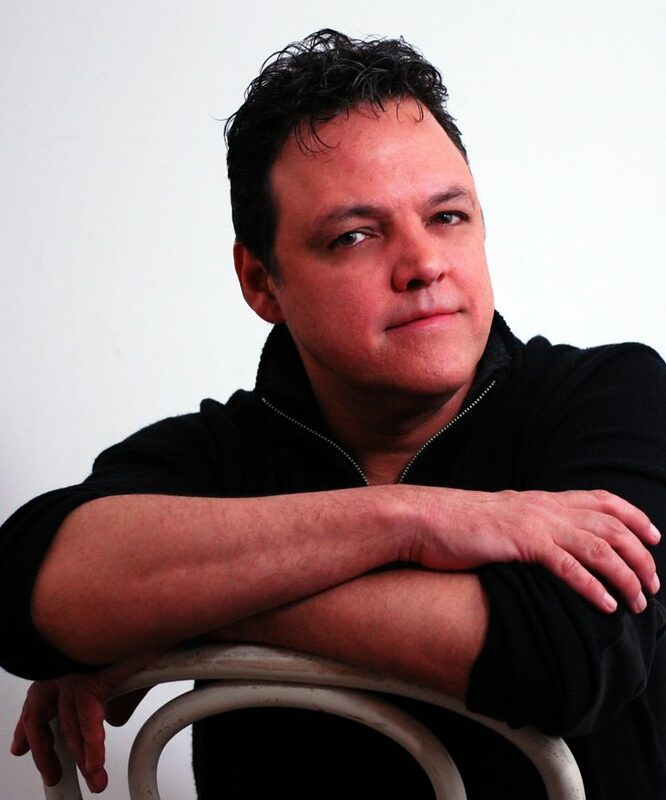 He is the author of two graphic novels for Little, Brown Books for Young Readers. The first, SHORT AND SKINNY, a memoir of Mark’s life in the summer of 1977 is out now. Brian Basset is the newcomer to the list and, by default, is the favorite I guess. For the past three years (2016 – 2018) Lynda Barry, Stephan Pastis, Hilary B. 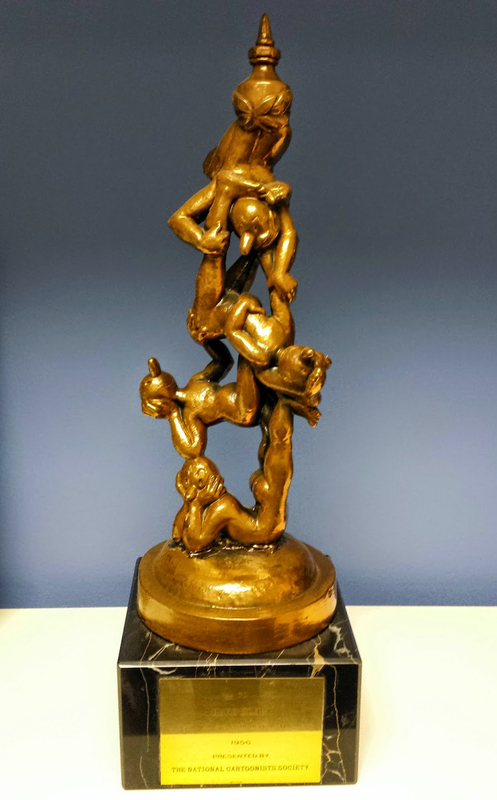 Price, and Mark Tatulli have been on the list, but it was the fifth nominee (Michael Ramirez, Ann Telnaes, and Glen Keane) who took home the statue. This is Hilary’s fifth time on the ballot; while Stephan has been a nominee for The Reuben every year since 2009 – an astounding 11 times! May the best cartoonist win! Jeez, Tim, she’s not even nominated! 21 queries in 0.171 seconds.